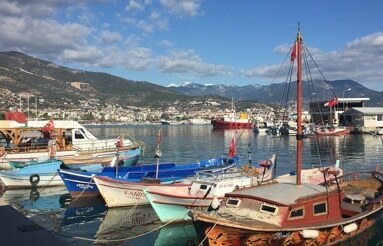 Antalya Transfer to Hotels in Alanya, Avsallar, Konakli, Belek, Side, Kemer. Antalya is Turkey’s biggest international sea resort, located on the Turkish Riviera. Large-scale development and governmental funding has promoted tourism. Antalya is a stunning destination is typically Turkish in its demeanour. It is Turkey’s biggest international sea resort and is the third most visited city in the world, with 10.5 million annual visitors. Antalya holidays are the pick of the crop when it comes to sea, sun and fun. Attracting thousands of holidaymakers in search of the perfect family summer holiday, Antalya and its golden sands, pumping resorts and cool restaurants will suit all tastes. The best Hotels you will find in Side, Belek, Lara, Avsallar, Konakli, Alanya, Mahmutlar and Kargicak. To get there from Antalya Airport with our Antalya Transfer service, you need 2 hours and from Gazipasa Airport 30 Minutes. Book your Antalya Transfer in Advance from home online. Book your private antalya transfer online and pay upon arrival to the driver. You can use our service at Antalya Airport and Gazipasa Airport. The easiest way to travel to your Hotel or holiday home in a private Van. We will bring you from Antalya Airport to the area of Side, Avsallar, Alanya, Okurcalar, Belek, Lara, Konakli, Mahmutlar, Kargicak, Kas, Gocek, Dalaman, Fethiye, Tekirova, Camyuva. We will pick you up on time at the airport or hotel and will bring you without stopovers to your Destination. The prices are starting from 22 € per vehicle. Our Rates you can find here, Antalya Transfer Rates. Book your travel offers at our site to all major holiday destinations by coach, taxi or private mini buses. You will experience that how much you can save and enjoy your own private Antalya transfer. We have a fast online booking service with friendliest and dedicated staff to work with us. If you want to reach your holiday destination safely, quickly and without any discomfort very affordably then choose us and you will always be there on time. With most economic rates our transfer facility is done very effectively.